My BLOG is finally back up and running! 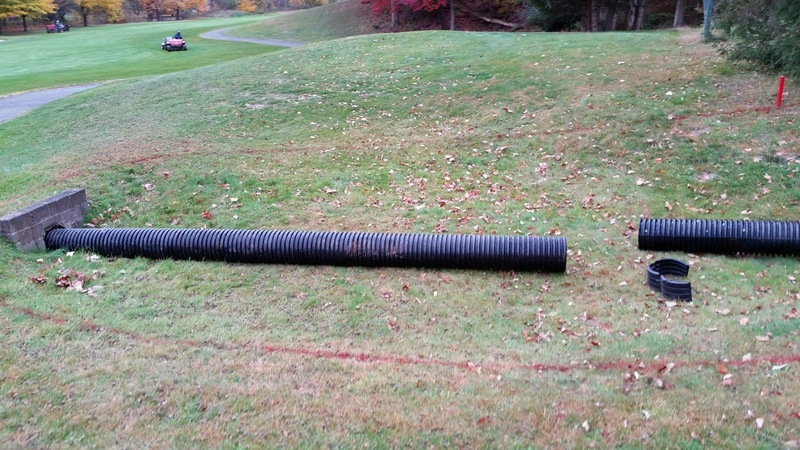 The maintenance staff has been busy this fall working on some "in-house" projects. 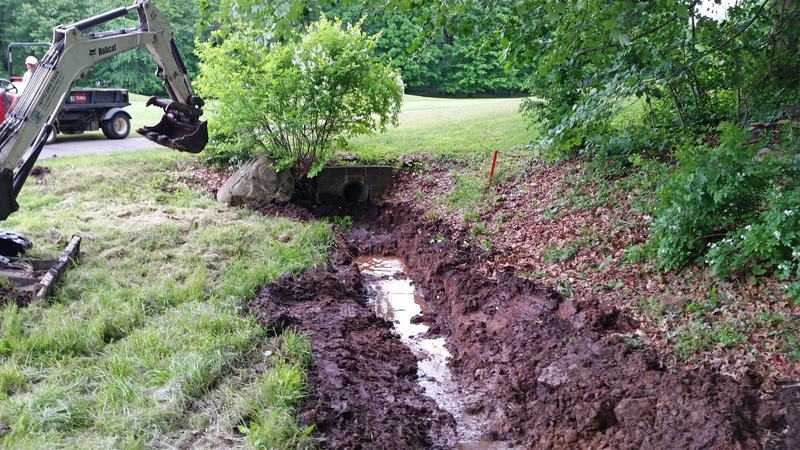 We have renovated the left green-side bunker on hole #14. 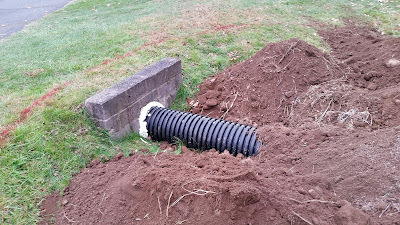 The cavity was cleaned and the synthetic fabric was replaced with sod. 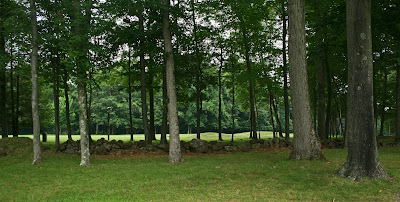 The sod will now act as the protective base. When Spring arrives, the sodded base will be killed and the bunker sand installed. 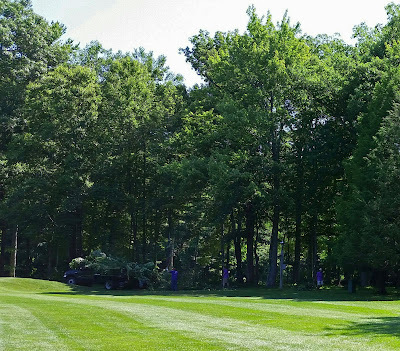 The hedges on the first tee were removed allowing us to re-position the tee, in turn, aiming it at the landing area. 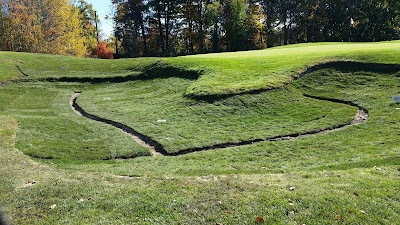 The first lateral hazard on the right side of hole #9 was renovated. We extended the outlet pipe closer to the wood line and filled the gully in. We are beginning our late season maintenance on the course and readying it for winter. Tees will be aerified and topdressed beginning this week and fairway aerification is scheduled for the end of the month. We will be slowly raising the height of cut on greens without sacrificing playability. This important yearly practice generally goes unnoticed by the golfer. Fertilization takes a turn toward higher Potassium levels and a reduction in Nitrogen. 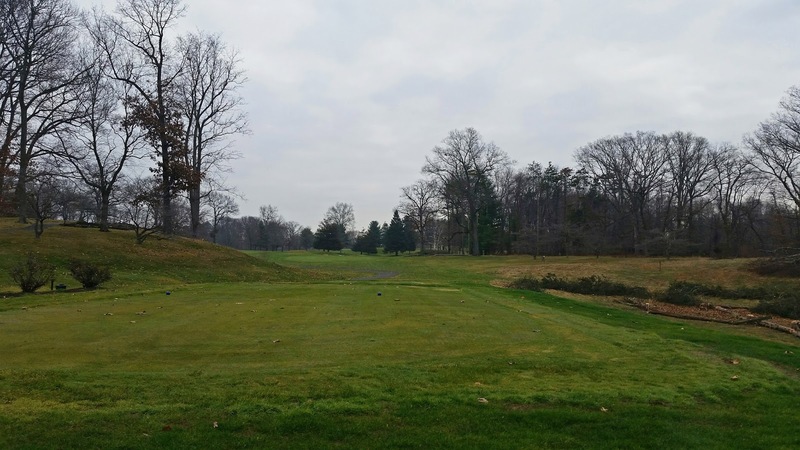 These important maintenance practices are geared toward helping the turfgrass store sugars / carbohydrates, "food", for the upcoming winter stress. Placing a solar panel in this shaded environment makes it hard to expect to produce electricity. Keep that in mind when evaluating the impacts of shade on a plant’s ability to produce energy. Plant leaves are the original solar panels with the amazing ability to absorb the sun’s energy and convert it into simple carbon molecules – i.e., sugars – that are used for growth and other functions. Like the solar panels we use to produce electricity, plant leaves require maximum light absorption for optimal photosynthesis. No person investing in solar panels would have them placed in an area that does not receive full sun exposure. Yet, it is easy to take for granted the impacts of shade on a plant’s ability to synthesize the energy it requires for normal growth. Full sun exposure is especially critical for close-cut, dense putting green turf. The fall season is a great time to review shade patterns across your playing surfaces and take action to provide at least eight to 10 hours of full sun exposure daily to all greens through the entirety of the season. The arrival of fall has brought with it cooler seasonal temperatures which are much welcomed by weak-rooted turf and surfaces that are recovering from late-season damage. 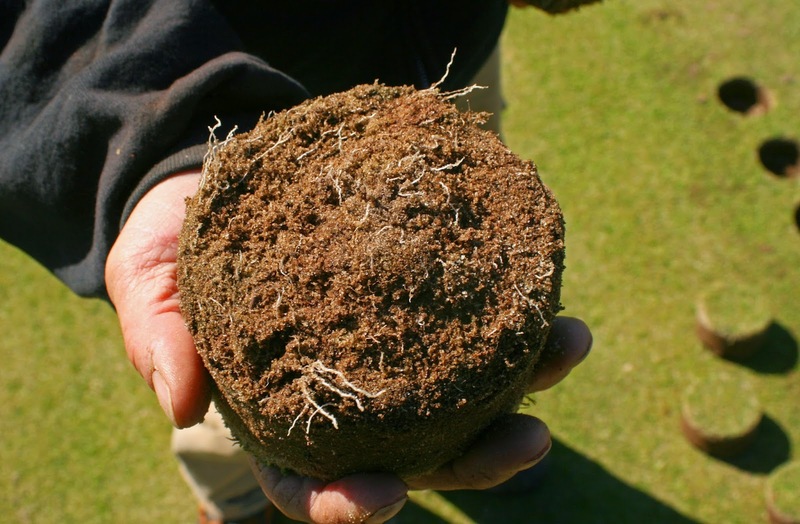 Cooler nighttime temperatures and shorter day length also trigger turfgrass to begin producing new roots and storing sugars that will help it survive flash freezes, hydration events and ice cover that have caused severe turf loss at many courses over the past two seasons. Tough weather can be expected in the winter months ahead, so now is time to focus on maintenance practices that favor carbohydrate storage and avoid those that force plants to spend energy reserves. Begin raising mowing heights in increments of 0.05-0.1 inch. 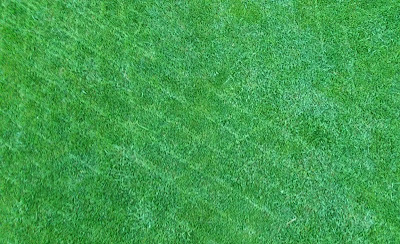 Higher mowing heights will increase the size of the solar panel – i.e., leaf blade. Bigger leaf blades are better for accumulating carbohydrates. 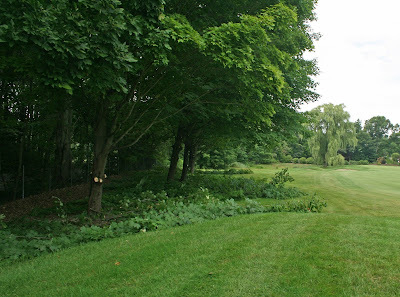 Mowing heights can be increased in increments through the remainder of fall. 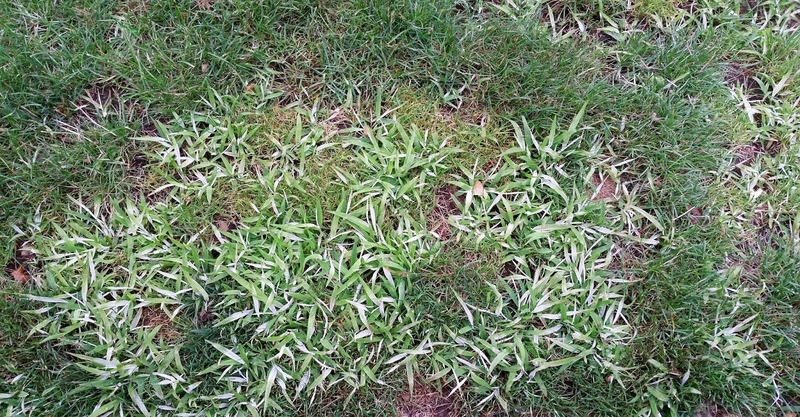 Keep in mind that raising the mowing height in late fall, after the turf has gone dormant, will provide little benefit for carbohydrate storage. 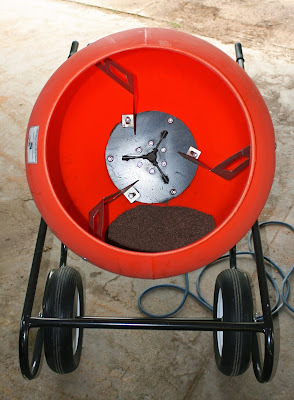 Provide potassium where soils are deficient. This can be accomplished through granular applications or spoon-feeding programs. 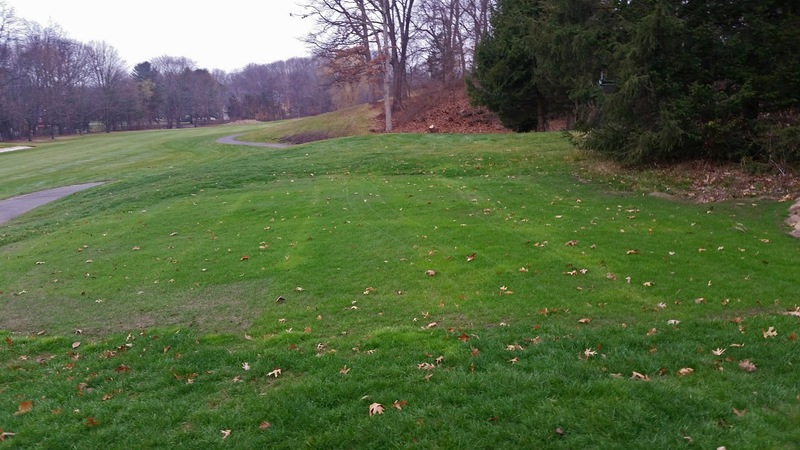 Avoid high rates of granular nitrogen in more northern areas of the Northeast Region. 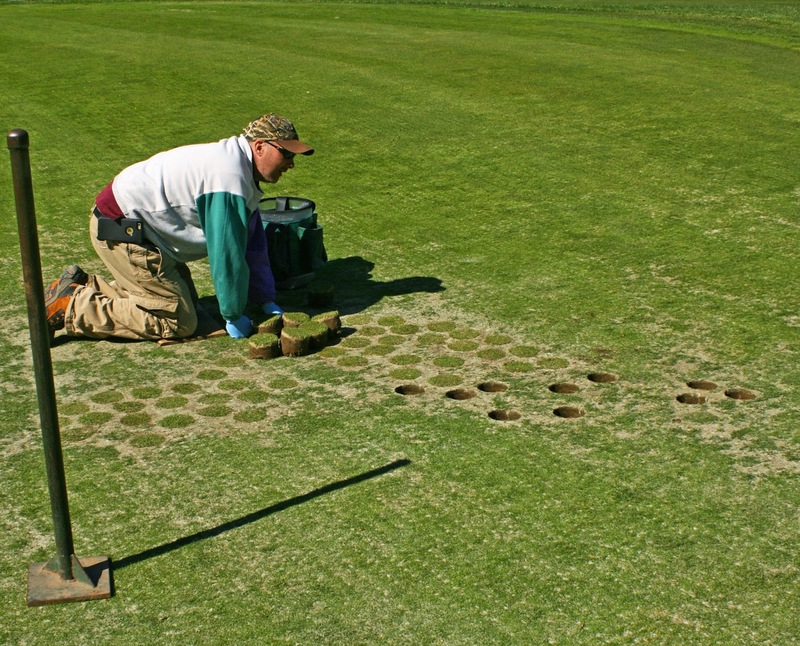 Fertility priorities on golf courses located in southern parts of the Northeast Region, or those who will be aerating greens in the coming weeks, will be different. 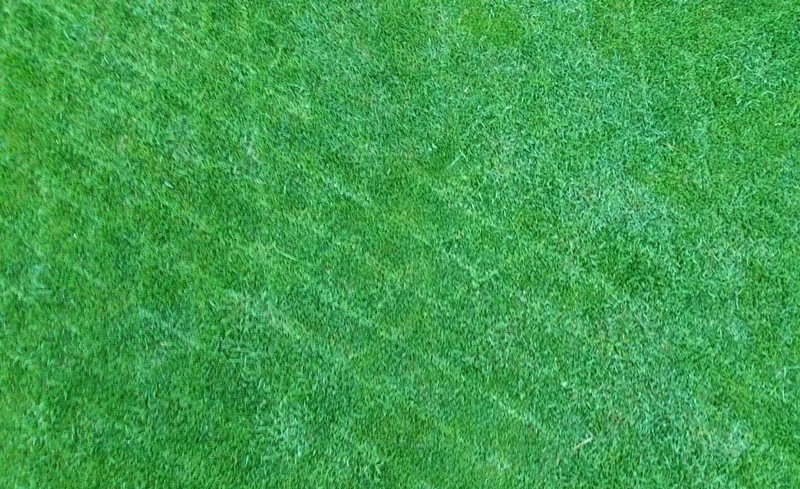 Keep granular nitrogen applications at 0.5 pounds per 1,000 square feet on greens or spoon-feed with lighter rates of soluble fertilizers to meet the growth needs of your turf. 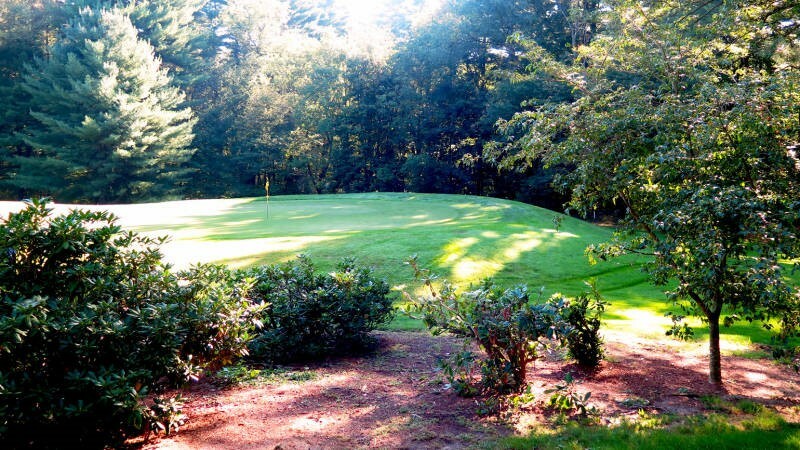 The fall season can provide some of the best playing conditions of the season. 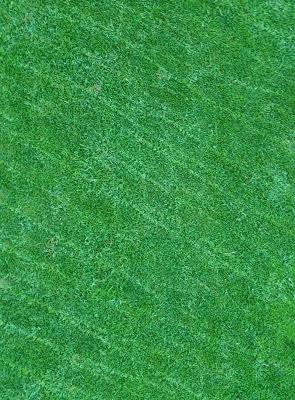 It also is the time to get turfgrass “solar panels” in good working condition to prepare for the long winter ahead. Aerification & Turfco Triwave 40 Overseeding Complete! Aerification and overseeding with our new Turfco Triwave 40 overseeder went very well! 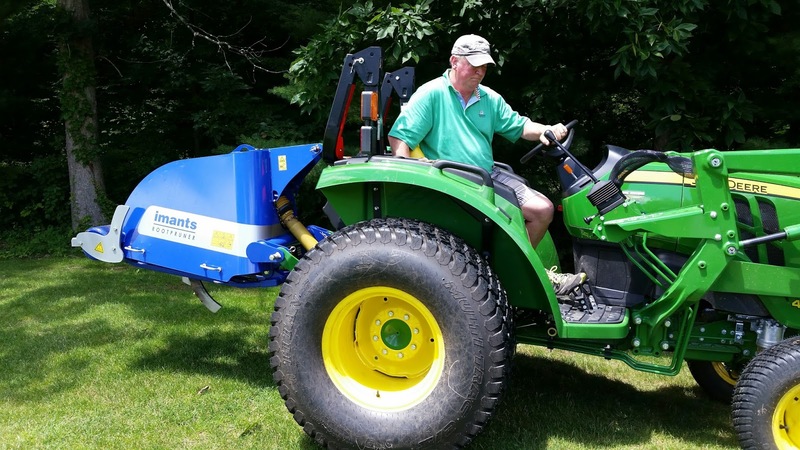 A special thanks goes out to Mark Osborn from Steven Willand Inc. in Brookfield, CT. Mark went the extra mile by getting the overseeder here on short notice. Excellent service! All greens, collars and approaches were aerified and topdressed first. Then we overseeded in two directions. 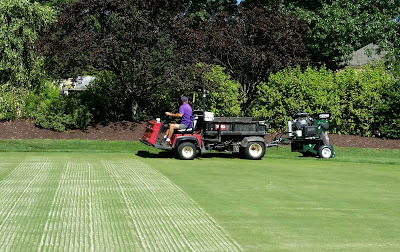 Overseeding immediately after topdressing brought up the perfect amount of sand to brush into the slits created by the machine and fill any aerifying holes that needed it. 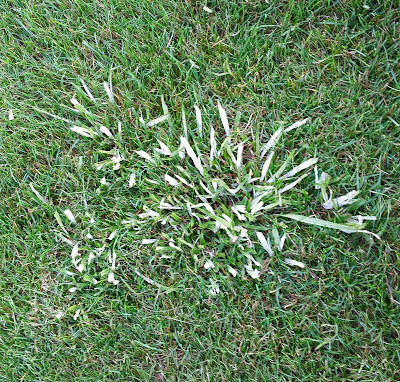 You will notice some stressed turf, especially on collars, from the aggressive process we employed. Most of which will bounce back in the coming days. You will also start to see seed germinating in the slices. To get the most from the overseeding, we will be lightly watering the greens several times per day to keep them moist. Today we start the healing process! We are applying plant protectants and fertilizers to all the greens. All they need is a little time to grow without much mechanical stress. We will not be mowing or rolling much over the next few days to reduce stress. We expect another heat wave to hit in the next few days so we must remain cautious with our maintenance regime. Expect the greens to be a little soft, slow and bumpy for a while. They will gradually improve over the next couple of weeks. It will be worth the wait! Close up of green surface after entire process completed. Notice that the diameter of the holes are reduced due to Triwave overseeding being done after aerification and topdressing. Recently, I’ve visited several golf courses where the accumulation of organic matter in putting green soils was a problem. 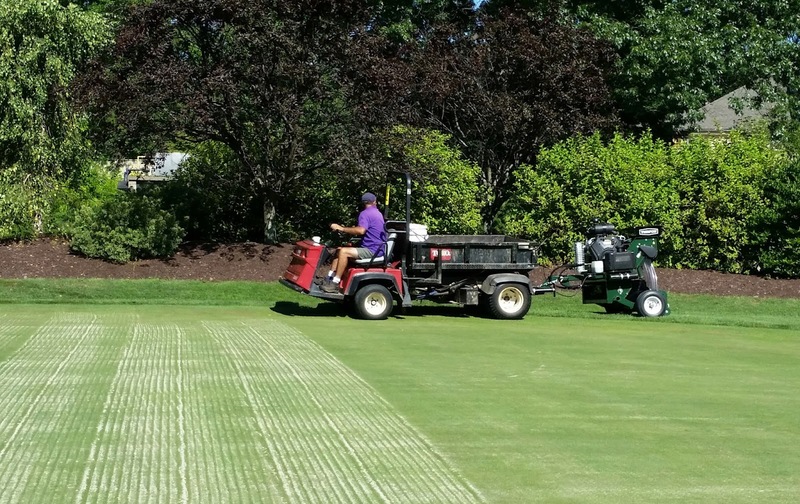 You’re probably thinking I’m referring to excessive organic matter, because excessive organic matter in putting greens is a common problem – not this time. In excess, organic matter – or thatch – is a problem. 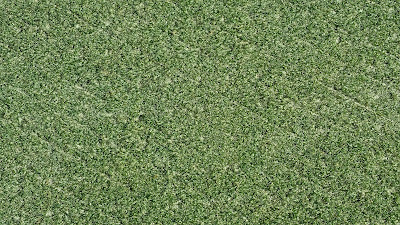 A thick layer of thatch at the surface of a putting green functions much like a kitchen sponge – i.e., it retains moisture at the surface, keeping putting greens soft. Thatchy greens play poorly and have problems with localized dry spots, disease, scalping, algae, moss, etc. 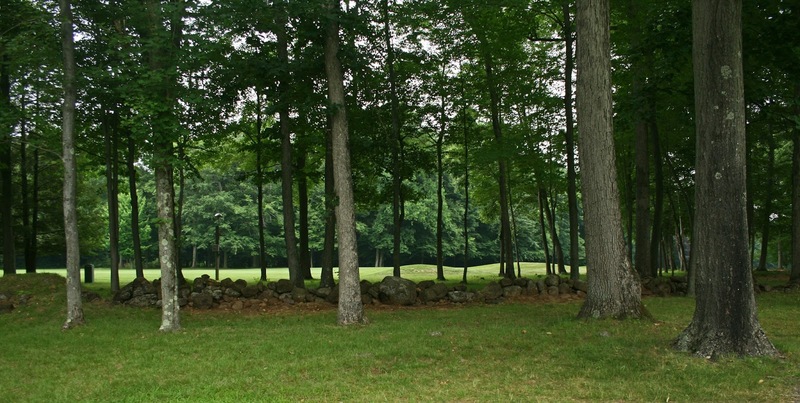 However, some thatch is essential because it stabilizes the soil and provides resiliency. 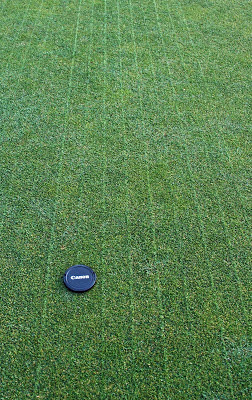 Immature greens often do not have enough thatch and, as a consequence, frequently experience more injury from maintenance and golfer traffic. 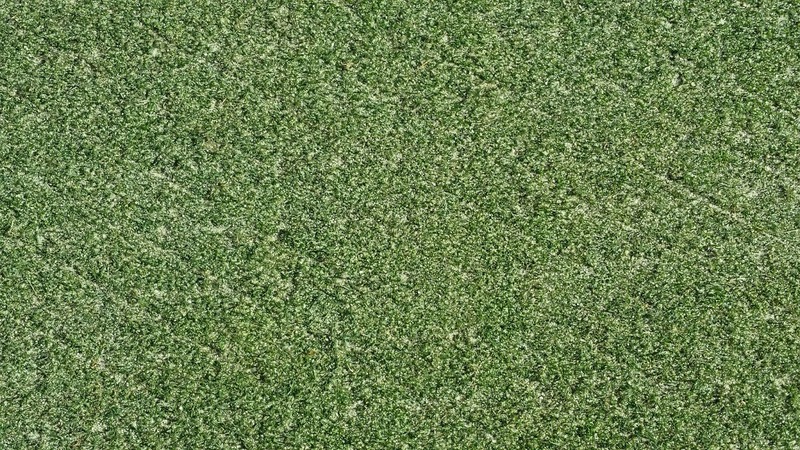 The problem I’ve recently noticed on some greens – even older greens – is that they don’t have enough thatch. 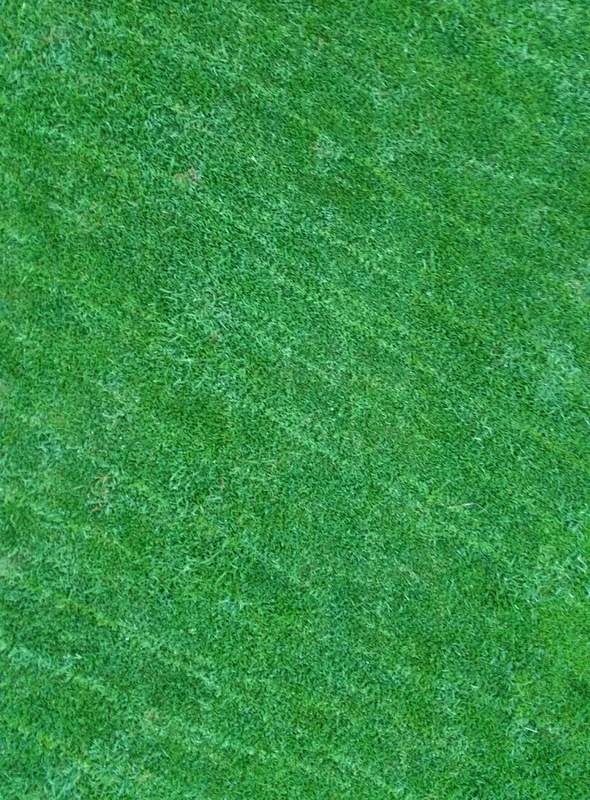 Insufficient organic matter can result from several factors like excessive aeration, verticutting, or topdressing and inadequate fertilization. 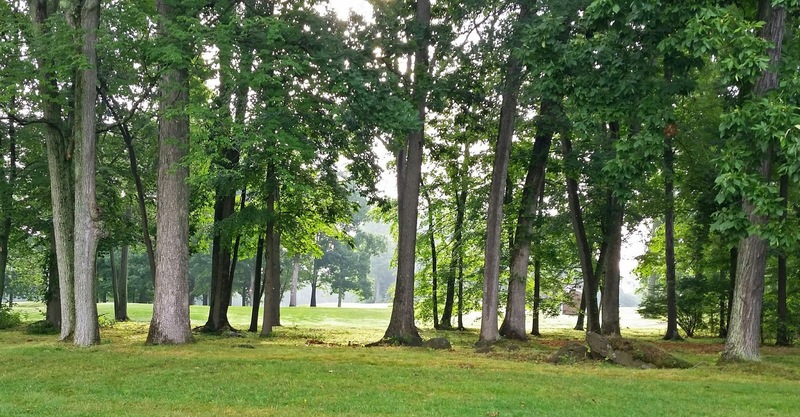 Several courses have reported above-normal turf growth and reduced efficacy of plant growth regulators this summer, which I attribute to peculiar weather patterns – especially rainfall. Regardless of the cause, a typical response has been to reduce nitrogen fertility until turf growth subsides. Reducing nitrogen fertility is becoming a common trend and, as has been observed many times in the past, low nitrogen fertility can work really well…for a while. 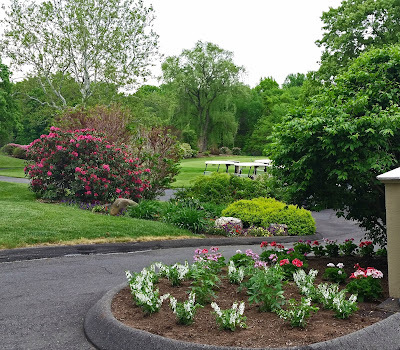 Maintaining greens at lower nitrogen levels often results in faster green speeds and finer leaf texture, but greens receiving too little nitrogen rely on soil reserves that eventually will be depleted. 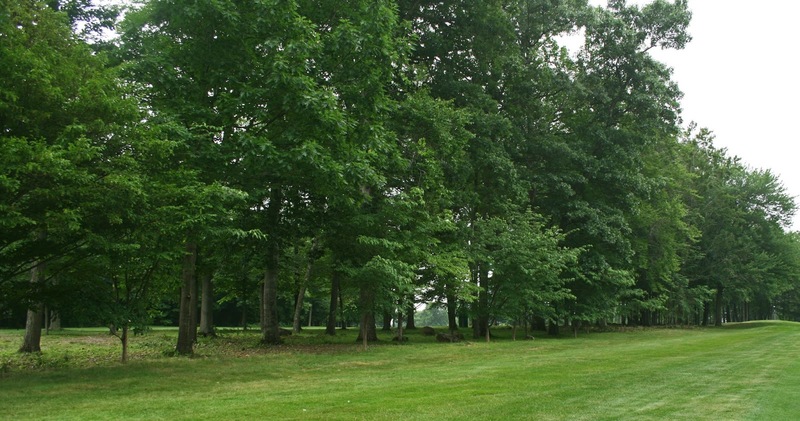 The depletion of soil nitrogen reserves may happen slowly – making it difficult to detect – but the health, wear tolerance and wear recovery of turf gradually decreases under deficit nitrogen fertility. At first, you may notice that ball marks are slow to heal, the greens may be slow to heal from aeration or a gradual decrease in turf density. Over a longer period of time soil organic matter levels may decline. In extreme cases when organic matter levels become too low, putting greens can become unstable and more prone to disease outbreaks. 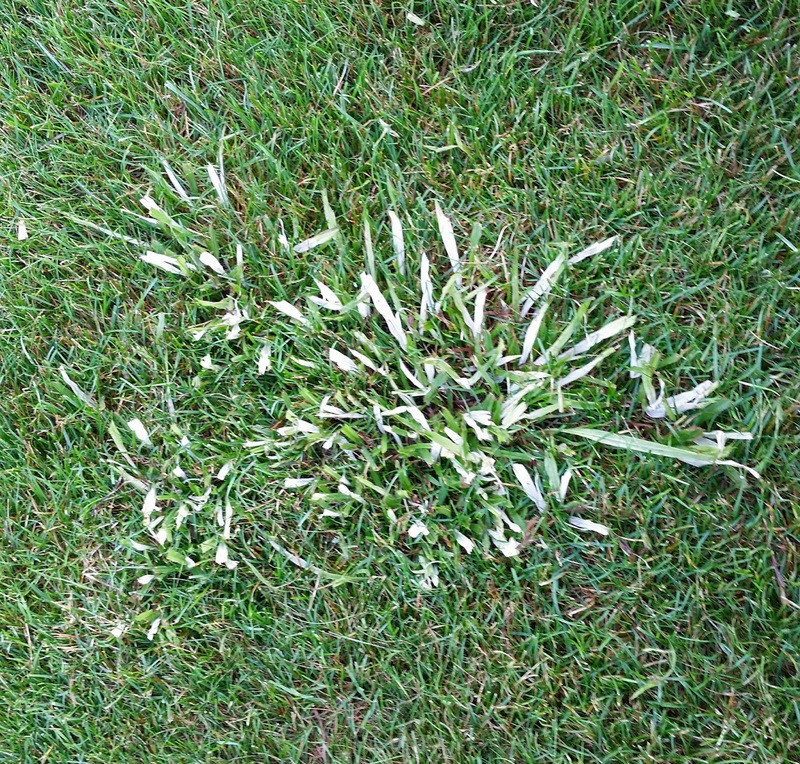 It wasn’t long ago that anthracnose was the scourge of annual bluegrass greens. Fortunately, research and field observation eventually revealed that increasing nitrogen fertility is one of the easiest ways to prevent anthracnose. 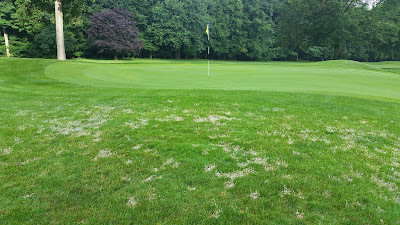 Memories of anthracnose-ravaged greens have faded, but low nitrogen fertility programs threaten a return of anthracnose. My advice? Don’t fall into the trap of repeating past mistakes. Low nitrogen fertility programs can work well for a while, but problems arise once nitrogen reserves are depleted. 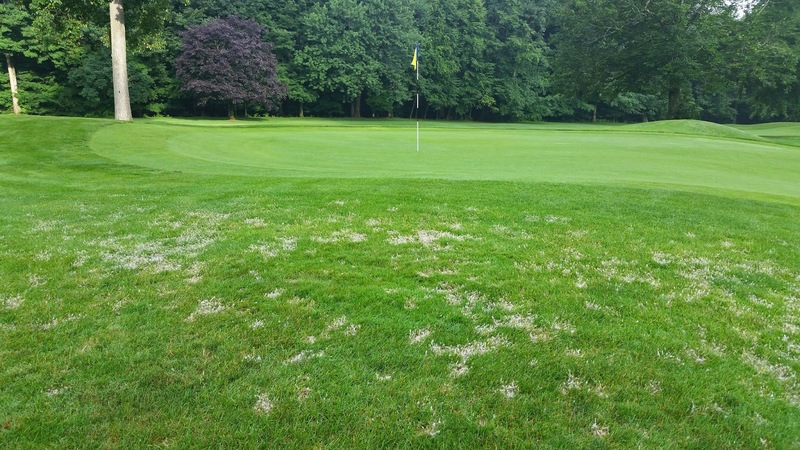 Don’t be fooled; malnourished turf is susceptible to numerous maladies – e.g., moss, algae, anthracnose, or an inability to handle stress and wear – which can be easy for the “next” superintendent to fix. Now is a good time to closely examine your fertility program. There are good trends and bad ones; an ultra-low nitrogen program is one trend to avoid. 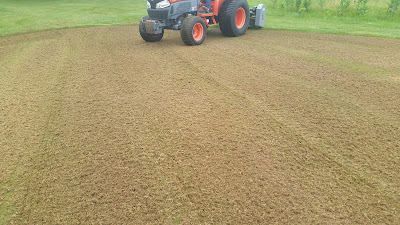 August can be a great time to aerate greens, so aerators are beginning to fire up at courses across the region. With optimal growing conditions, aerated turf often will heal in a couple weeks, leaving the fall golf calendar free of disruption. 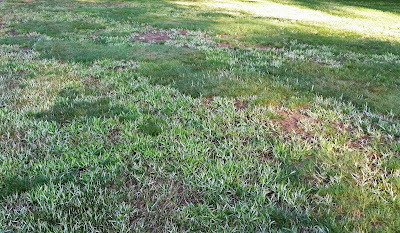 However, August also can be a bad time to aerate if turf is weak or the weather is stressful. 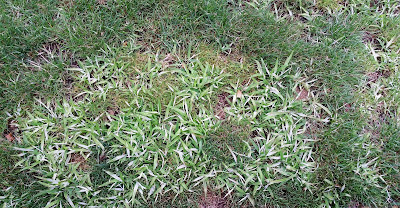 Be sure to carefully evaluate turf health before determining how aggressive to aerate. Also recognize that summer patch outbreaks can be kicked off with aeration. 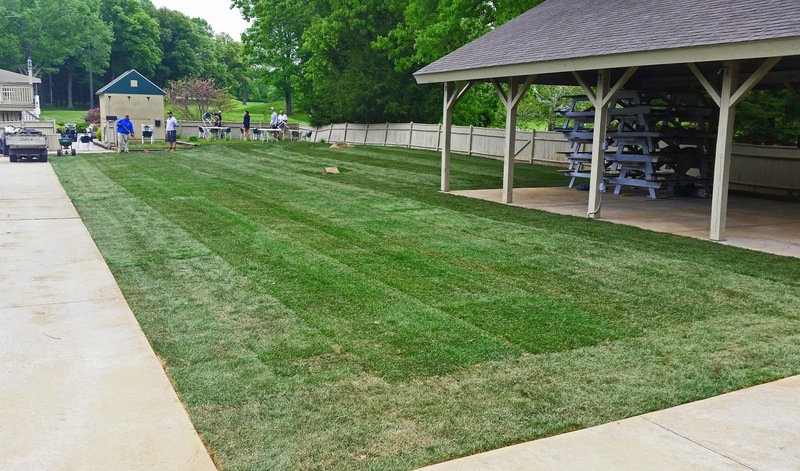 Make sure your turf is protected. 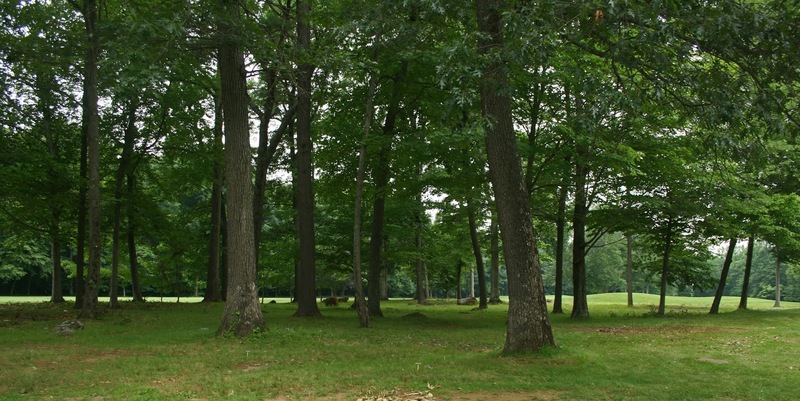 Roots from trees are always competing with turf roots for nutrients and water. 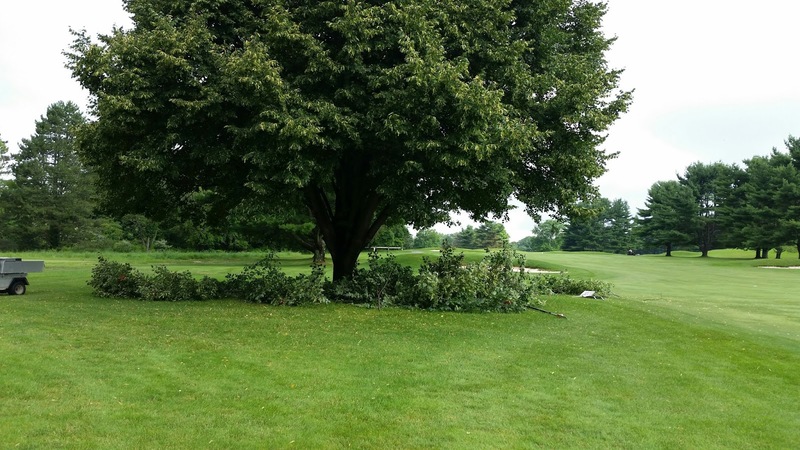 One way to combat the problem is by root pruning the trees. By cutting tree roots near the drip line of the tree we can improve weakened turf without hurting the trees. 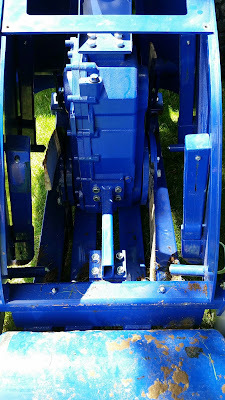 Greg Moore from Saturated Solutions LLC provided us with a demonstration of the Imants Root Pruner yesterday. The machine boasts a depth of cut at nine to ten inches. 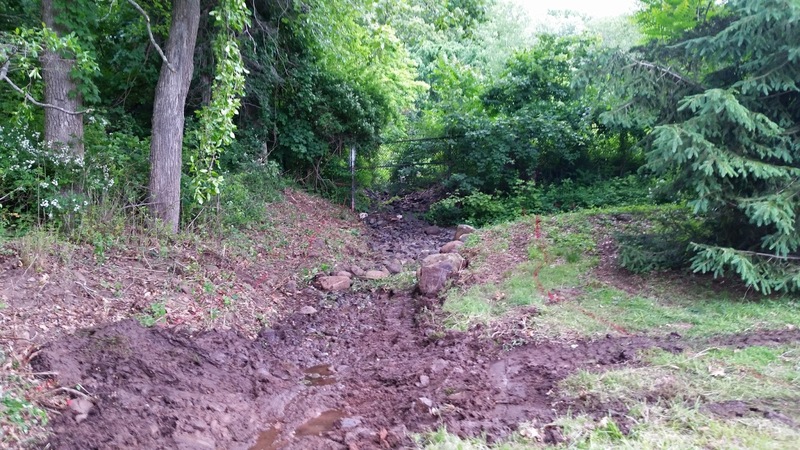 Here at The Farms CC we have very rocky soils and found we could safely only reach a depth of six inches without damaging the equipment. It was tested near greens #10, #13 and #15. 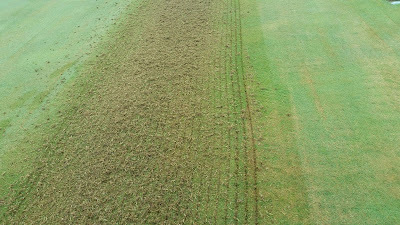 We tested it quickly on the right side of #15 fairway but the excessively rocky soil proved too much and we bent two blades. 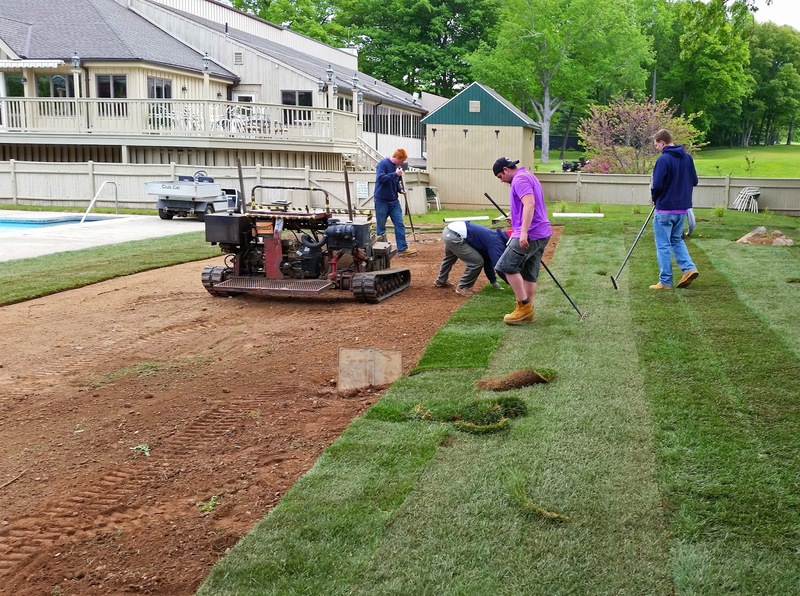 The test will be if we see improvement in the turf to the rear of ten green, the right of thirteen green and the right of fifteen green. Etiquette Reminders! Fixing Ballmarks and Filling Divots! It's time for a couple of important etiquette reminders. The top two are fixing ballmarks and filling divots. They are especially important because they not only improve the turf from a health perspective but directly effect a players round of golf. 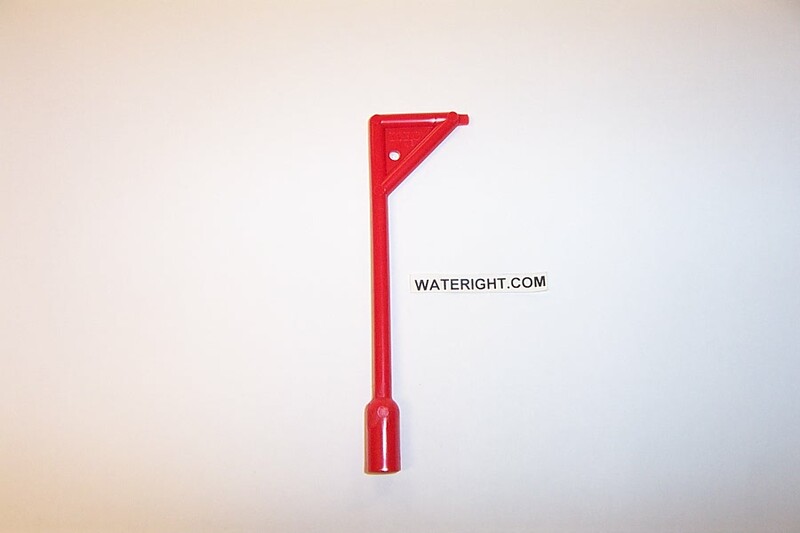 No one wants to find their ball in an unfilled divot or have a putt bounce off line due to an unrepaired ballmark. Divot mix is provided on every tee and cart. Walkers are also provided with mix at the proshop or as they head out to the first hole. We work hard to prepare a special mix for filling divots and it is important that it gets used up so we can refresh it constantly. 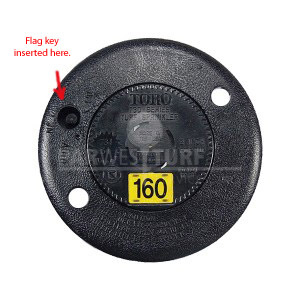 Remember, we only fill divots on tees and fairways. 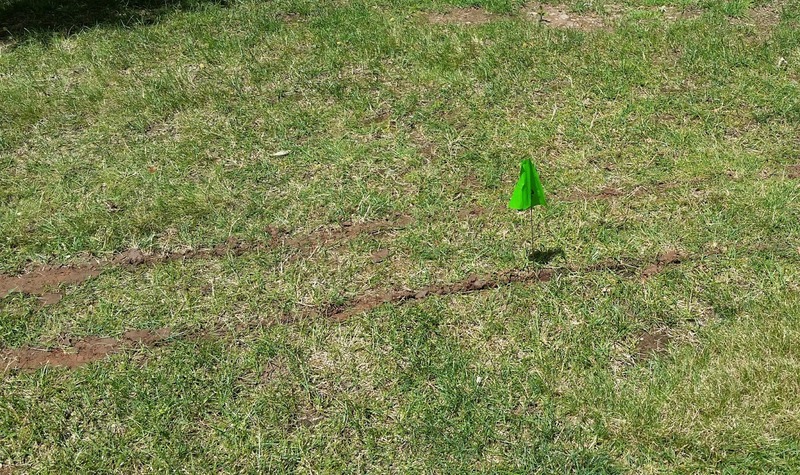 Replace your divots in the rough and first cut. The USGA has provided players with a series of informational videos under the label of "Fore the Golfer". Below is a video about fixing ballmarks correctly. Please enjoy and remember to fix your ballmark and at least one other while you are on the green. 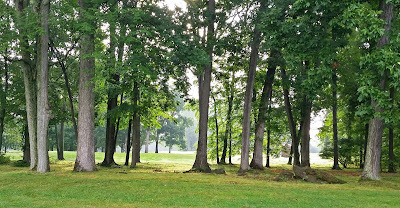 Labels: Divots, Etiquette, USGA "Fore the Golfer"
No, I don't mean Callaway or Titleist. I'm referring to demonstrating golf course maintenance equipment. 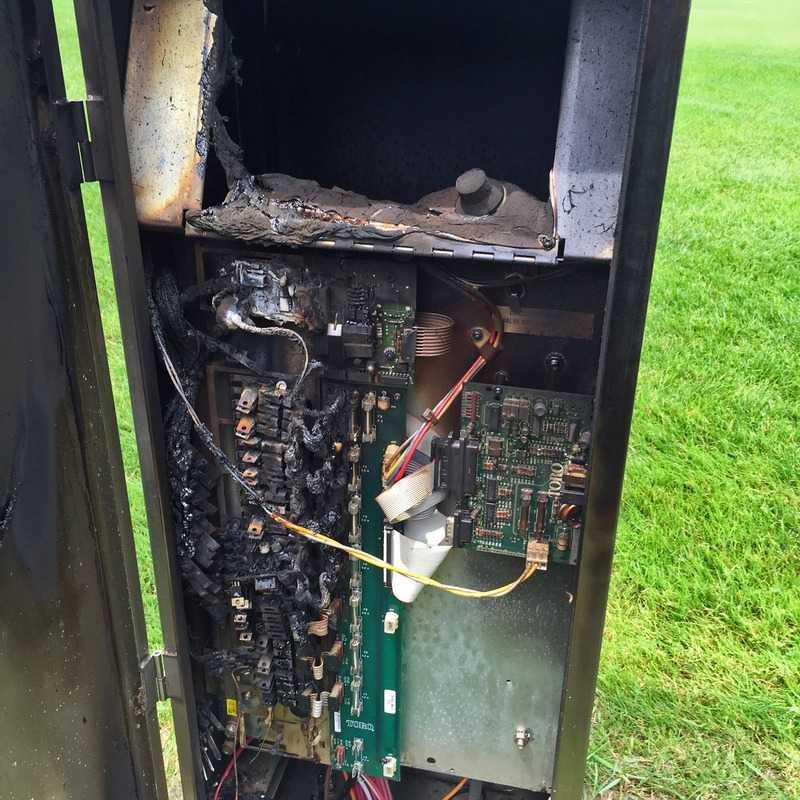 There is only one way to tell how a piece of maintenance equipment will perform on our course. Contact the equipment vendor and set up a demonstration here at The Farms. 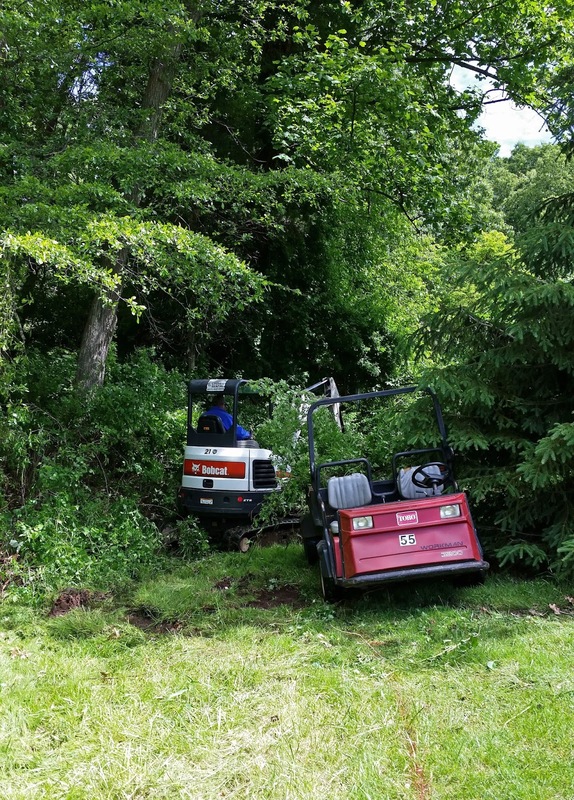 Golf course maintenance equipment is not cheap and we must thoroughly investigate all aspects of its ability to perform the task required, how well it is built and the service record of the company that distributes it. Last week we tested an air injection aerifyer which fractures the sub-soil at depths from five to twelve inches. 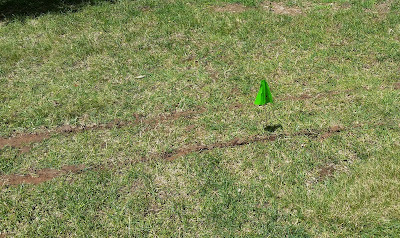 The Air 2 G2 was used on the practice green at a depth of seven to eight inches. The concept of this machine is interesting because it is supposed to provide lateral fracturing of the sub-soil which improves oxygen, relieves compaction and improves drainage without any surface disruption. 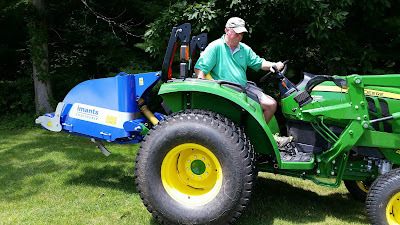 If you didn't see us operating the Air 2 G2 you wouldn't have known we were there. We even flooded a spot and you could see the air bubbles rising through the puddle. The puddle dissipated fairly quickly. Today we tested the VC 60 verticutter made by First Products on #8 tee & fairway and #18 tee. 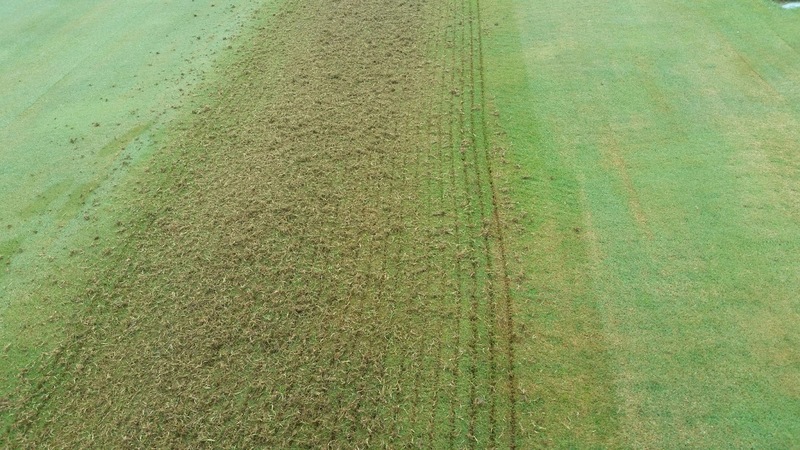 We are constantly battling excessive thatch on many tees and fairways. 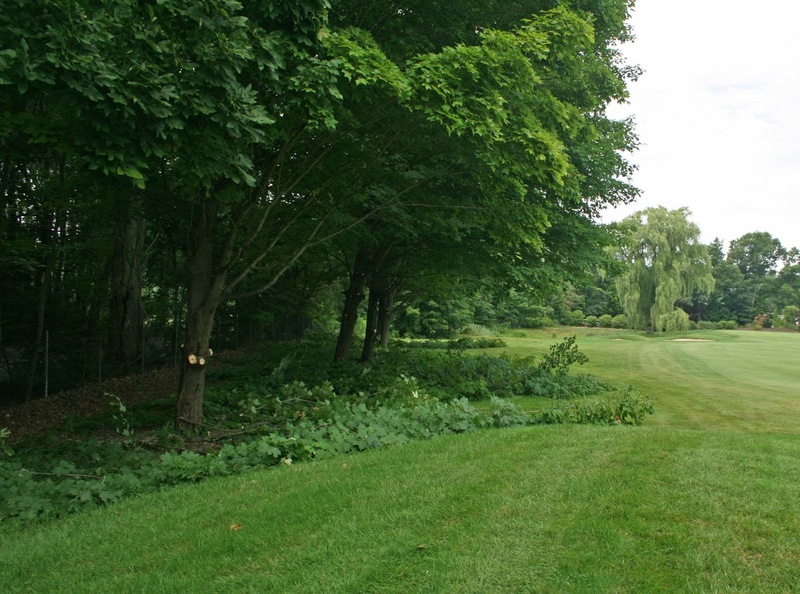 Jim Skorulski, our USGA Northeast Regional Agronomist, recommended we give this a try. I was very impressed! 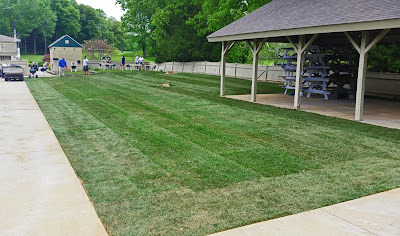 It cut clean lines, removed a lot of thatch and made tight turns with ease without tearing. Even where we went in two directions. Did I mention it was FAST? 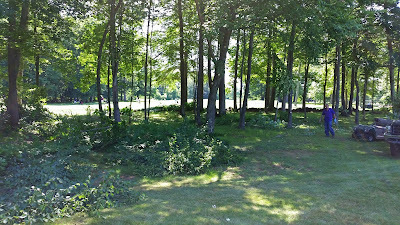 After the demo we just blow off the material it generated and mow. We will also perform a light topdressing to further aid in thatch reduction. We are continuing to improve the lateral hazard on hole #9. 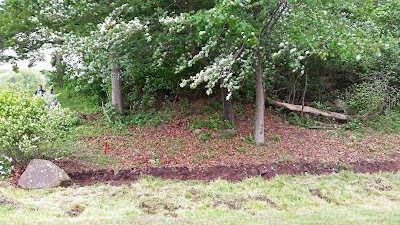 We have created a trench to confine the draining water and dug a small sediment pit before the outlet. We are continuing brush removal to improve the golfers' ability to find golf balls and will be seeding the disturbed areas today. 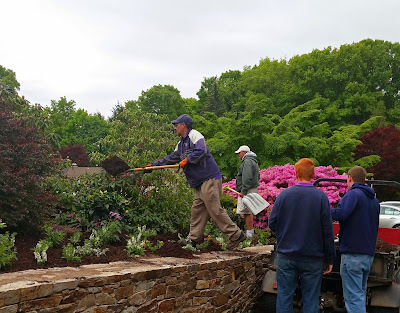 We are finally catching up on some of our major Spring maintenance practices. It is time to pay attention to detail! You will begin to notice little things like weeds disappearing, string trimming of trees, stairs and curbs, landscape planting maintenance, etc. We are doing a bit of "house - cleaning" on the right side of hole #9. 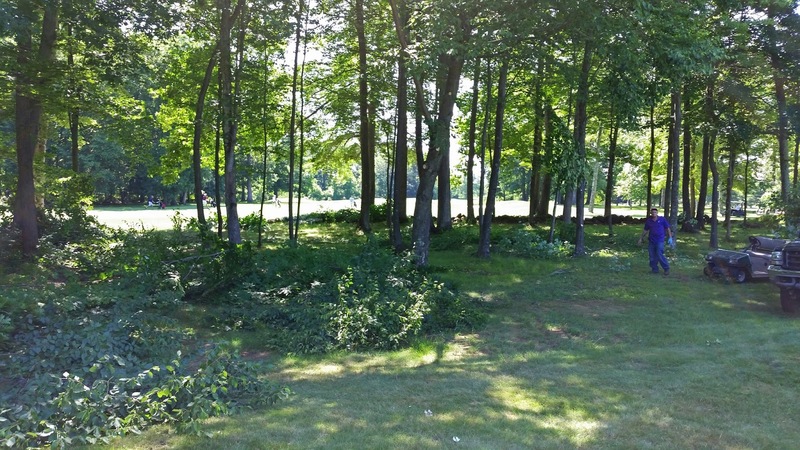 The lateral hazards lack definition so we are clearing brush and cutting back the tall grass. We will be able to better mark the areas and players will have an easier time finding their ball. It finally feels like Spring! May was the hottest on record and we were near five inches behind on precipitation. Thankfully we received 3.6 inches of rain early this week. We needed it! The greens are finally growing and we will be topdressing them lightly next week to smooth them out a bit. Before you know it, it will be June twenty-first, the first day of summer! New Bentgrass Nursery Already Paying Off! We are already using our new Creeping Bentgrass nursery for patch work on the course. 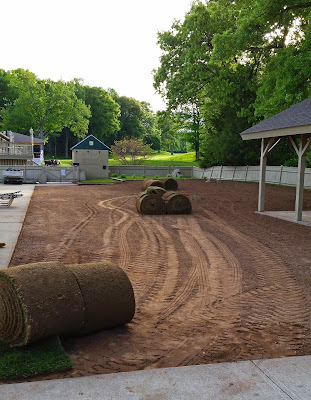 Long gone are the days of stealing grass from the Practice Green! Our greens are finally starting to perk up and we are seeing a little growth. One of the ways we are fixing some of the damaged areas is to utilize cup-cutter turf plugs from the nursery. 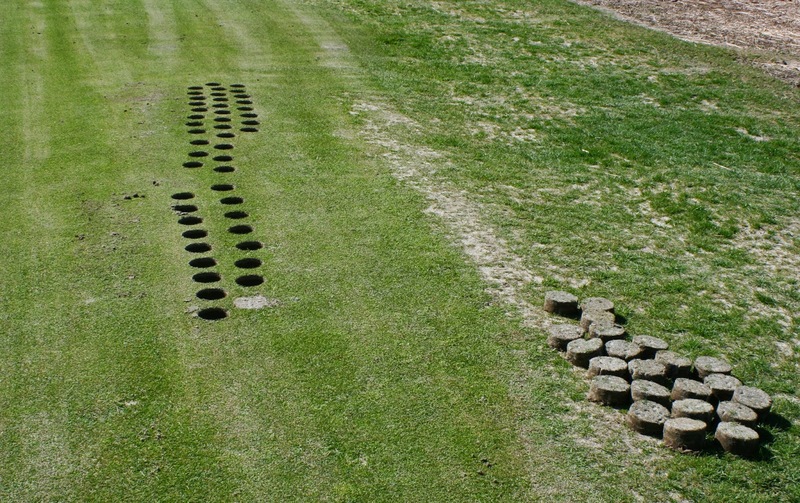 We space the plugs far enough apart so that foot and mower traffic will not damage young bentgrass seedlings as they sprout. It will help these areas to fill in quicker too. Additionally, the plugs we are installing are Creeping Bentgrass. The desirable species we are constantly trying to increase in population. 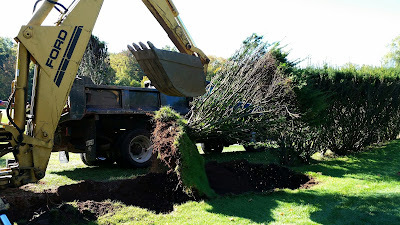 Turf plugs being removed from nursery. The plugs on right are from a damaged area. A close up of a four inch plug. LOOK AT THOSE ROOTS! Chris spacing out the turf plugs on thirteen green. Our next step in the healing process will be to overseed the greens Tuesday, May fifth. 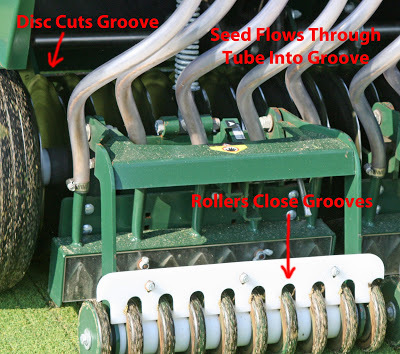 A slice seeder will be going across the greens in two directions. This is a non-invasive process. After a quick roll we will lightly topdress and water. Perfect timing because it looks like the warm weather is finally coming!